Experience the hidden treasure of Maryville, Missouri! This city is perfect for an upcoming winter getaway. Take a weekend break and vacation away from the world, busy cities, jobs etc. in beautiful Maryville! The family friendly Red Roof Inn Maryville is a great budget-friendly hotel to stay at during your getaway. Our inn is within walking distance of Applebee’s and La Bonita. We are close to local shopping, bowling, and a multiplex movie theater, and we’re near downtown, which offers dining, clubs, and pubs. The Mozingo Lake and Golf Course is just 10 miles away! Wake up to a complimentary breakfast each morning, log on to enjoy some free WiFi, and head over to the pool to relax. What a great way to start the day! Want to go out and explore the area? There’s plenty to do nearby. Enjoy easy access to nearby colleges, Mozingo Lake and Golf Course, bowling, movie theater, downtown Maryville, and more. Book now! Enjoy some time in the great outdoors at Nodaway Lake (7 miles) and Bilby Conservation Area (10 miles). Get out and enjoy the lake and trails. Walk the dog, exercise or enjoy the beauty of nature. Enjoy the newest releases at Hanger Multiplex Cinema (1 mile) during your stay. Enjoy in-movie dining options, an arcade and the theaters themselves are shaped like old airplane hangers. Put on a pair of bowling shoes and take to the lanes at Bearcat Lanes (2 miles away) during your stay. Enjoy some friendly competition or a great night out with the family. 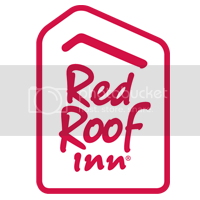 Stay close to campus at Red Roof Inn Maryville. Make your trip to see a loved one, official business or campus visit to Northwest Missouri State University (4 miles) easy. Enjoy a hot meal close by at Applebee’s, La Bonita (walking distance), Joy Wok (0.9 miles), Diner 71 (1.2 miles), Pagliai’s Pizza (1.5 miles), Carsons Sports Grill, A&G Restaurant, Simpy Siam’s (2 mi and Pizza Ranch (2.9 mi). Enjoy some time on the course at Mozingo Lake & Golf Course (7 miles). Whether you’re an experienced golfer looking for some challenging competition or a beginner just looking to have a good time Mozingo Lake and Golf Course is the perfect spot to relax and play a round. Enjoy great events and live entertainment at the Nodaway County Fair Grounds (4 miles). Stay close by at Red Roof Inn Marysville only 4 miles away. Enjoy classic fair food, fun family entertainment and experience the local culture at the fair during your stay. Learn more about the story and history of Nodaway County at the Nodaway County Historical Museum (3 miles). Learn about the cities and towns around you during your stay, and explore all of the history. At Red Roof Inn Maryville we support our troops. Stay close to Missouri Army National Guard (4 miles). Whether traveling on leisure, as a government contractor, official business or military friends & family, click here for our 10% military discount. Our gorgeous resort style pool is open all year long. Encased in a beautiful glass room, the pool and hot tub provide the ultimate relaxing experience for our guests. Take a dip during your stay and let the stress melt away. With a gorgeous cozy lobby and great breakfast area filled with a delicious way to start your day each morning, we make sure your stay is fantastic from the second you walk in the door. Walk in to Comfort at Red Roof. The rooms at this 100% Smoke-Free hotel feature free WiFi, flat screen TV, microwave & refrigerator, satellite TV, iron & ironing boards, hairdryers and in-room coffee. Enjoy free continental breakfast, coffee & tea, and an outdoor grill. Book Now.